Du Plessis, though, said De Kock had been provoked by personal comments made by Warner. I struggle to get a word out of him on the field,” said Du Plessis. 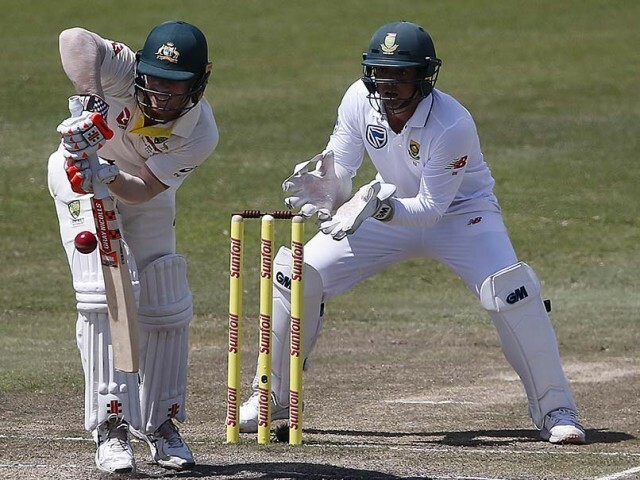 Du Plessis said that there was a discussion about whether Theunis de Bruyn or Temba Bavuma would fill the seventh batting position but said Bavuma was only 80% recovered from a finger injury. The pitch had a fair covering of grass a day out from the match but both captains expected it to be slow. “A typical Port Elizabeth pitch,” said Du Plessis.